Rely on Cartech Automotive & Transmission Repair when you need engine repair in San Antonio, TX. Backed by more than 30 years of experience, you can count on us to accurately diagnose and fix any auto issue. Whether your check-engine light is on, you've noticed a dip in performance, or your vehicle just won't start, we'll offer an all-inclusive solution that addresses each and every one of your concerns. Expect quality workmanship whenever you bring in your vehicle for engine service. The bulk of our expertise pertains to Asian imports, focusing more on Japanese models in particular. This means that we can quickly identify issues and offer more relevant solutions. Maximize the lifespan of your engine (and your vehicle) by bringing it in for factory-scheduled service. Just like the human body needs health checkups, your car also needs regular maintenance and engine tune-ups. Naturally, how you drive your vehicle will affect how often you should seek service, which is why it's important that you pay attention to any changes in your vehicle. Is it consistently making odd noises? Have you noticed a dip in performance? These are questions you should be asking yourself when you first notice problems as engine troubles almost never go away on their own. Trust our pros when you notice these problems—we'll give you an accurate diagnosis, and offer an honest, objectively sound solution. Receive great value whenever you come by our shop. 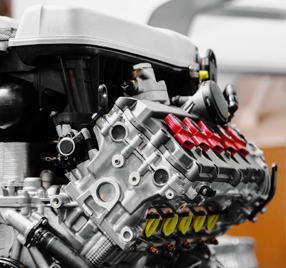 We're committed to using high-quality parts for engine repair to make the most out of your investment. Your safety as well as your satisfaction are our top priorities, so you can expect quality workmanship at a fair price. Contact us to schedule an appointment for engine service. We proudly serve San Antonio, Texas, and the surrounding area, including Helotes, Leon Valley, Pipe Creek, and Bandera.